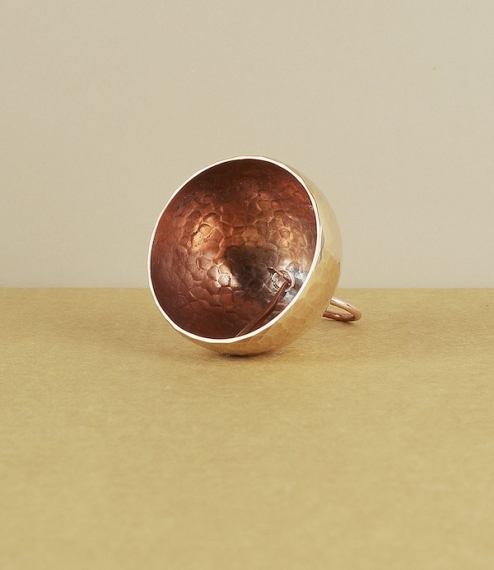 A small handbell made of gilding metal (≈Cu95/Zn5) in the metal workshops of the Newton Dee Camphill community in Aberdeenshire, Scotland. 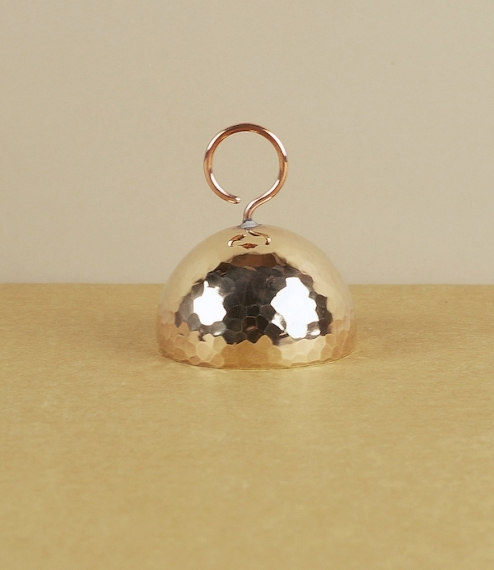 Each bell passes through many hands during its manufacture, allowing different individuals to maximise their input depending on their skills, one might hammer the dome to shape, another flatten the base, assemble the ringer, chase off burrs, or planish and polish the metal. Each has a different but beautifully clear tone. About 6cm diameter and just over 6cm high.